Improve your smile with composite dental bonding or tooth-colored bonding. This tooth-colored composite resin can be used to repair chipped, fractured, and discolored teeth. It can also be used to reshape teeth for a more appealing esthetic result. Composite dental bonding can be done in one visit. This procedure may be your ideal choice if you need a quick, effective solution. What is the procedure for composite dental bonding? We will choose a shade closest to your tooth color for the most natural looking results. Then, prepare the tooth by lightly abrading it and applying a conditioning treatment. This allows the composite resin to adhere best. The resin is then applied and molded accordingly. To harden the bond, an ultraviolet light is used. Once the resin has hardened, we will continue to shape the bonding until it is perfect. Next, the bonded tooth is polished until the sheen matches your other teeth. This quick procedure usually takes less than one hour to complete. Can I whiten my teeth after this procedure? Teeth whitening needs to happen before composite dental bonding. The composite resin does not whiten. If you attempt to whiten after, you will see a difference in shade on your bonded tooth. We want you to have the best results. Consult with us about teeth whitening before choosing composite dental bonding. Can I eat and drink normally after the procedure? The composite material will be completely hardened by the time you leave your appointment. We do recommend that you wait until local anesthesia has worn off before eating or drinking hot beverages. How long can tooth-colored bonding last? Tooth-colored bonding can last for several years. The better you care for your teeth, the longer the bonding will last. Composite dental bonding is a great option for many patients. 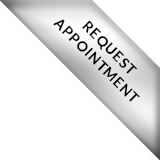 Your consultation will determine the best solution to correct your smile.